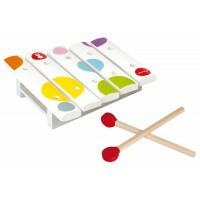 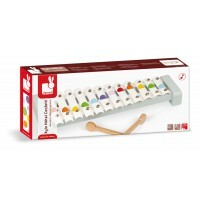 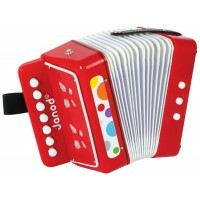 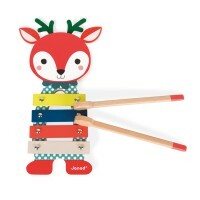 Bring music time alive with this five piece musical set from Janod. 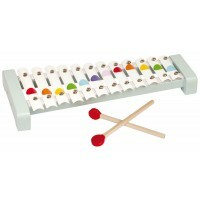 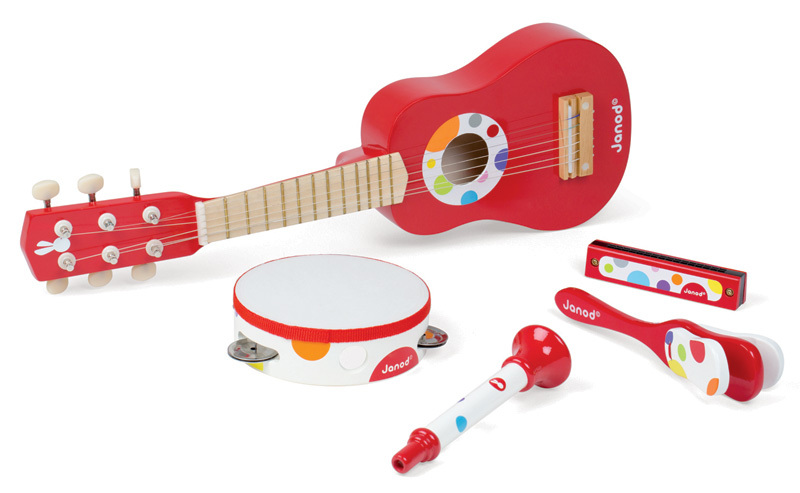 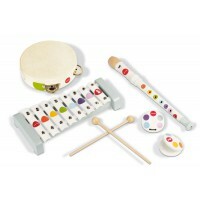 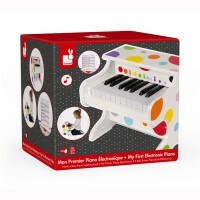 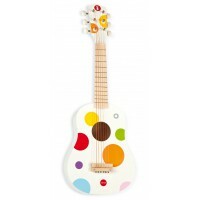 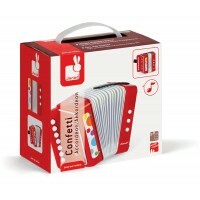 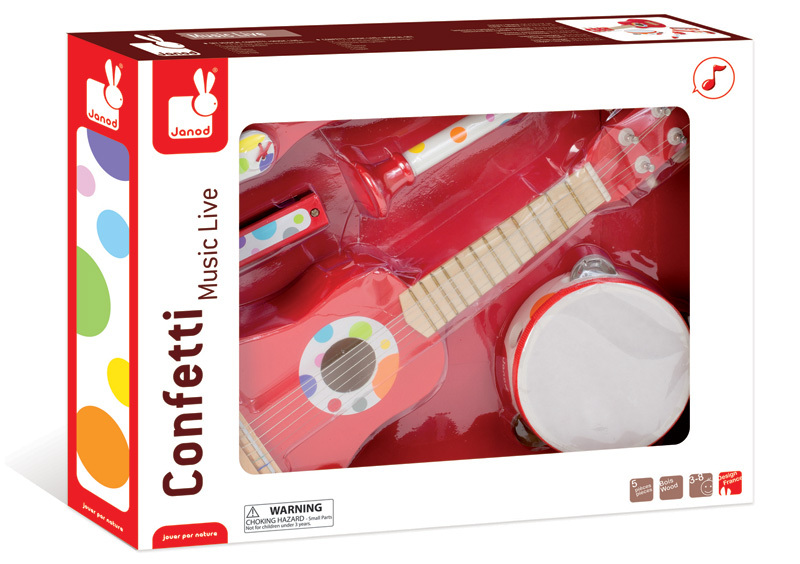 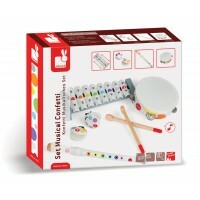 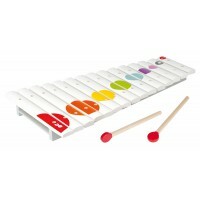 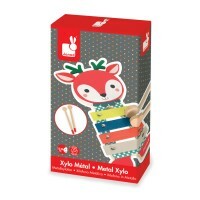 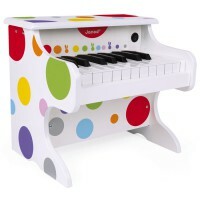 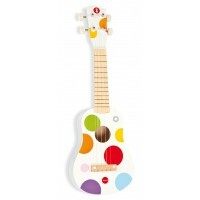 The set includes a small sized guitar, harmonica, kazoo, tambourine and a hand held castanet. 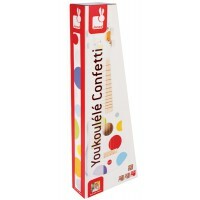 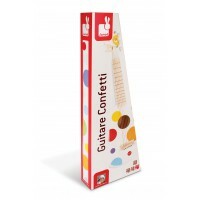 All decorated in the Janod signature confetti designs and presented in a stylish presentation box, ideal for gift giving.